Can you ask your doctor for stronger painkillers if you need them? Absolutely, as it is crucial that you are an active participant in your pain management. Chronic pain, most simply defined, is pain that continues when it should not. One of the key components of managing chronic pain is finding the right painkiller. According to the American Chronic Pain Association (ACPA), the best approach to managing pain is for a person to discuss carefully with his or her doctor the potential risks versus benefits of a new medication (or other treatment). In other words, be proactive in your pain health, and be open and candid with your doctor about your pain. If you think you may need an additional, stronger, or different painkiller, asking these four questions may be helpful. If you answer “yes” to any of the following, you likely do. Do you frequently have breakthrough pain? Is your current medication becoming less effective at controlling your pain? Is your daily routine getting harder? Is your quality of life decreasing? Non-opioids: These include aspirin, NSAIDs, and acetaminophen. Opioids: Also referred to as narcotics, these include morphine, codeine, hydrocodone, oxycodone, and methadone. The medication Tramadol works on the opioid receptors, although it is not an opioid. Adjuvant analgesics. These medications were originally used to treat other conditions, but they're now sometimes also used in pain relief. Examples include certain antidepressants and anticonvulsants. Other: Other medications that don't directly relieve pain, such as drugs to ease insomnia, anxiety, depression, and muscle spasms, may be part of your pain management regimen. There are also non-medication options that in combination with a painkiller (or potentially alone) can help a person best manage their pain and function fully in life. These often include practicing relaxation strategies, mindfulness meditation, stretching, cognitive-behavioral therapy, and exercise programs like yoga or tai chi. Additional pain-easing options that do not come in "pill" form may include injections, patches, or even surgery. Will You Look Like an Addict If You Ask My Doctor for Stronger Painkillers? While it's true that opioid painkillers are one of the most commonly abused prescription drugs, asking for them does not necessarily target you as an addict. Many people with chronic pain conditions simply cannot manage their pain with other types of medications. The attitudes toward the role of opioids in pain management are also changing. Studies show that with careful monitoring, addiction and abuse are not usually issues for people with legitimate chronic pain conditions. Most physicians will consider the benefits of a stronger painkiller versus the potential risks. 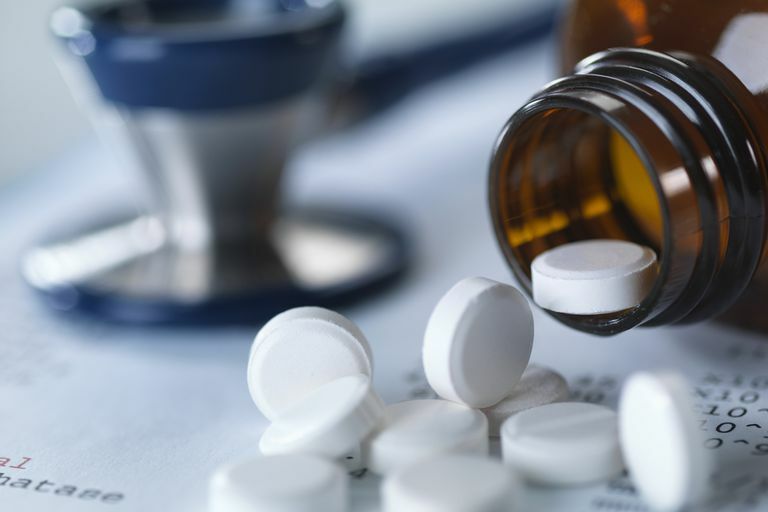 Stronger painkillers like opioids carry a higher risk of tolerance and abuse, but if they could possibly increase your quality of life, they may be worth a try. Remember, for the best outcomes, your doctor needs to follow up with your treatment regularly. In other words, medical supervision is key when you are managing your chronic pain. Tapering off or escalating up a medication can be uncomfortable and even dangerous, so it's extremely important this is done under the guidance of your doctor. American Chronic Pain Association. APCA Resource Guide to Pain Medication and Treatment: 2016 Edition. Blake S, Ruel B, Seamark C, Seamark D. Experiences of patients requiring strong opioid drugs for chronic non-cancer pain: A patient-initiated study. British Journal of General Practice. 2007 February 1; 57(535): 101–8. Chou R. et al. Clinical guidelines for the use of chronic opioid therapy in chronic noncancer pain. The Journal of Pain. February 2009. Volume 10, Issue 2. Pages 113-130.e22. Hariharan J, Lamb GC, Neuner JM. Long-term opioid contract use for chronic pain management in primary care practice. A five-year experience. Journal of General Internal Medicine. 2007 April; 22(4): 485–90.